We’re headed into the final few months of the year, which is often filled with more food and temptation than any other time of year. 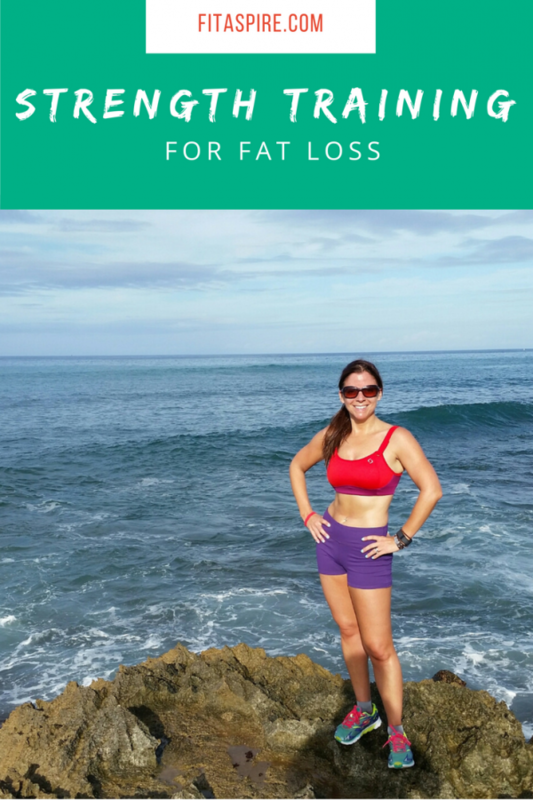 I want to help you end the year on a high note with a free strength training program for fat loss goals! you choose to stay focused on your goals to finish the year strong! The problem with putting your health goals on hold until next year, is that you start to dig an even deeper hole. When January rolls around, this means you have steeper hill to climb, which sets you up for frustration. We all like to see results fast, but if you dig a hole for 2 months, it may take another 2 months to get back to where you are now. That’s not fun. Imagine what could happen if you don’t put your goals on hold. What if you choose to focus on your goals for just 1 hour, 4-5 days per week? Imagine where you would be after just a few months with this approach! Instead of a deeper hole to dig out of, you would actually be closer to your goal. What an awesome way to start 2017! Why Focus on Strength Training? When your goal is related to body composition (like fat loss) many people mistakenly focus on cardio workouts. I believe cardiovascular health is a very important part of a healthy lifestyle, but spending hours on cardio machines is not the best way to help reshape your body. I admit that I made this mistake for years, before I learned there was a better approach. The best way to reach your fat loss goals is to combine effective strength training strategies, targeted cardio workouts, and eating support your health & goals. When I’m working with a client on these goals, we typically create a program with 3-4 days of strength training, 2-3 days of cardio (focusing on shorter, HIIT-style workouts), and a nutrition plan that focuses on changing habits and learning effective portions and timing of macros for the goals. I’m excited to share a full week of workouts & nutrition tips, designed specifically for your fat loss goals. For 7 days, I’ll send you the workouts to do each day (plus a bonus nutrition challenge). You can choose the workouts that are best for you – whether you’re just getting started or have been lifting consistently for several months. The workouts will include options for gym or home workouts, so you can choose which is better for you. All you need for home workouts are dumbbells or resistance bands. When you sign up, I’ll be your virtual trainer for the next week! Each workout is designed to take just 30-45 to complete, so you knock out the workout quickly & get back to your busy life. And you can start improving your nutrition immediately, by taking action with the nutrition tips. Get a FREE week of strength training workouts for #fatloss! Want more support to reach your goals? My online personal training program gives you ongoing support to help you look & feel amazing! The program includes simple workout & nutrition strategies to make the most of your precious time.